The chai flavor is derived from the mix of spices that are used: ginger, cardamom, cinnamon, peppercorns, nutmeg, and sometimes star anise. For this recipe I did not use star anise, but it can definitely be included. Besides using these basic spices, much of this recipe can be adapted according to your preferences. You can choose your own black tea base. 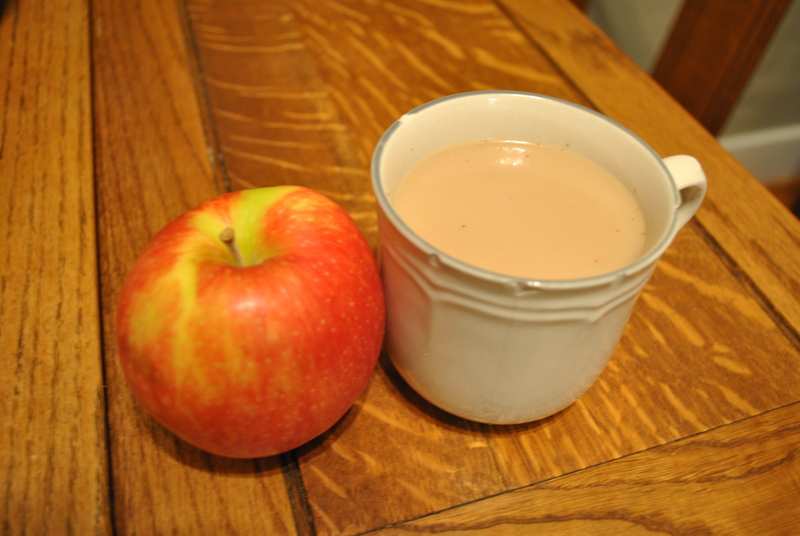 I use english breakfast, but other black teas such as darjeeling, will also work. You can also use brown sugar, honey, or agave syrup to sweeten. You can add more milk or water to cut the spiciness (or if, like me, you just want more chai!). Perhaps one of these days I will experiment with all the possible variations of this recipe. Chai tea tasting day, anyone? Combine the peppercorns, cardamom seeds, and cloves in a small plastic bag and seal. Use a mallet or some other heavy object to crush the spices into coarse pieces. (In my case, I had to get creative because I don’t happen to have a mallet in my kitchen. 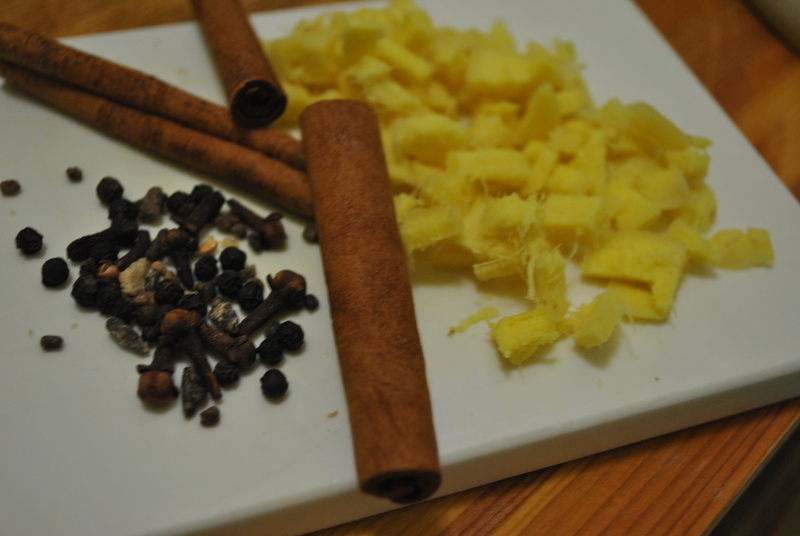 I improvised and used a small – but heavy – cutting board as a mallet to grind the spices.) If you aren’t able to grind the spices well, don’t sweat it. The more they are ground, the more flavor will come through in the chai, but even whole spices will give flavor. 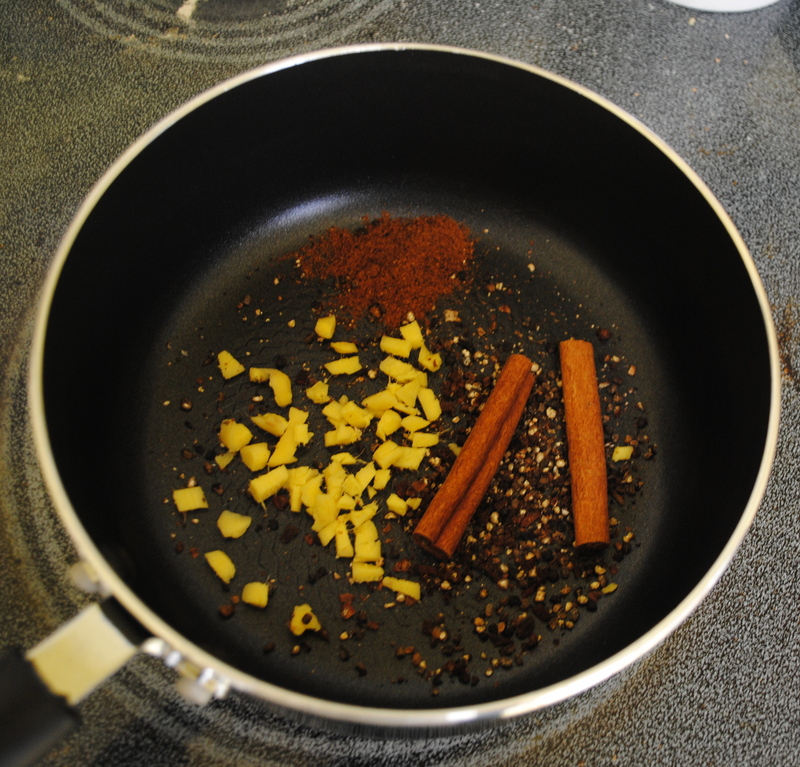 Add crushed spices, chopped ginger, nutmeg, cinnamon sticks, and milk to a saucepan over medium heat. Allow the milk to come to a gentle boil (note: it’s best to heat milk slowly, so for you impatient types, resist the urge to flip the heat to high because your milk will burn! ), then cover and turn off the heat. Steep for 15 minutes. While the milk is steeping, bring 2-3 cups of water to a boil. 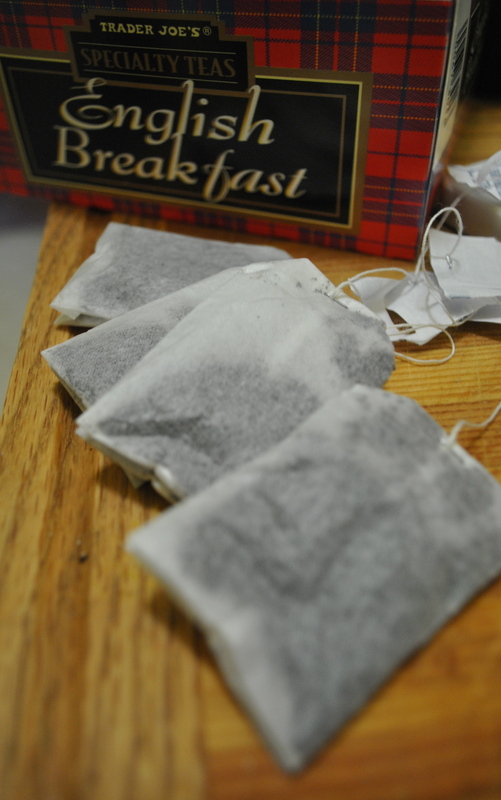 Combine the 4 tea bags with the boiling water and steep for 5 minutes (or more, if you prefer stronger tea). 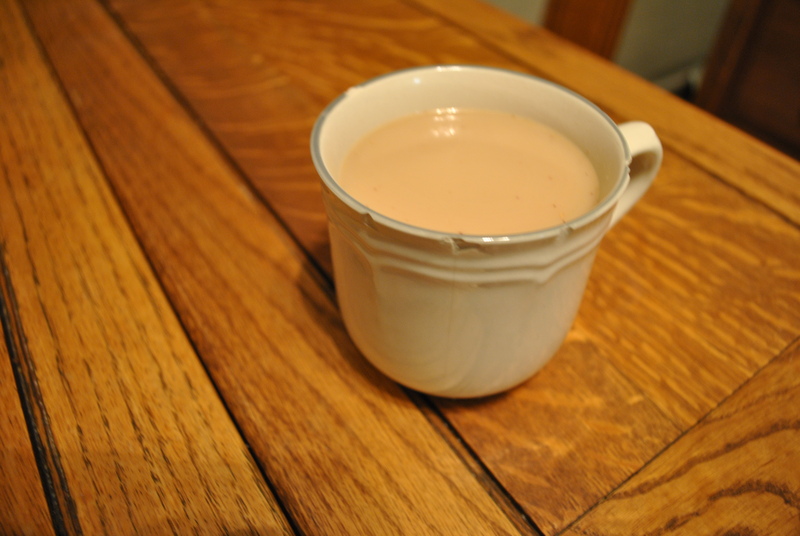 Discard the tea bags and add the tea to the spicy milk. Use a fine mesh strainer to remove the spices and ginger. Add sweetener to taste. You can also add more milk or water if the chai is too spicy.